Make no mistake, people love receiving free items! It doesn’t really matter what the item is, either. Somehow, just the thought of getting it gratis works to increase its perceived value. Of course, it’s an even better idea to give out promotional items that truly are useful. 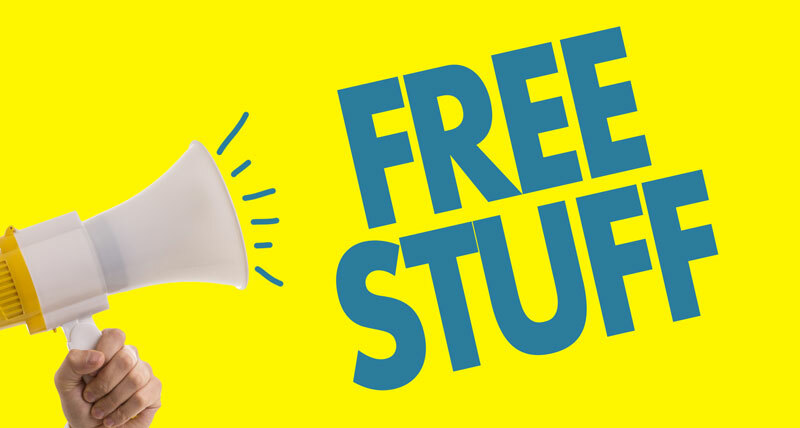 If you’re interested in using the psychology of free stuff to your business’s advantage, read on to learn which items are the most effective ones to give out. Despite the fact that so many of us spend our days typing away on a laptop — or tapping out messages on a smartphone, – pens are still a useful item. Even the most die-hard tech heads have to sign their name once in a while or jot down a grocery list. Pens have been powerhouses of the promotional game for a long time. It’s not likely that we’ll see them go away anytime soon. If in doubt, cover all your bases by offering a combination pen and stylus. You might think that they’re not as common anymore since smoking on average is decreasing. However, people still use matches to light candles and fires. Even those who don’t see an immediate use for a box of matches or custom matchbooks will still take one and remember the company that gave it out simply because of its novelty and retro charm. Additionally, the marijuana industry is realizing that matchbooks are a great promotional item as well and a great alternative to a lighter, which some believe may alter the taste of their bud. Are you comfortable introducing yourself to a business connection or are you always self-conscious about your breath after a meal? Bad breath is a major turn-off, and, therefore, a fear for many people. Keep your business on their minds by supplying customers with after-dinner mints, chocolate mints, or assorted fruit-flavored candies. One of the truly useful promotional items is a pocket pack of tissues. This is the kind of freebie that people love because you can never really have too many tissues. These small-sized tissue packs are convenient since they tuck easily into a purse, book bag, or glove compartment as well as into one’s pocket. 5. Free T-Shirt? Yes Please! There aren’t many people who will turn down a free t-shirt. Of course, everyone has a drawer full of promotional shirts that only see the inside of a gym or are worn to bed. So if you’re going to give out shirts, make sure to do it right. The keys are a subtle or subdued color — gaudy neon 5K shirts all seem to end up in the thrift store! — and a similarly subtle company name and logo. Shirts that don’t scream “promotional items” are often the best ones to hand out, ironically. These are just some of the top promotional items available. Use your imagination and customize the right items for your given marketplace. Have fun along the way as you garner more customers! Contact us to get started on branding promotional items for your business. We’re experts in the field of promotion and look forward to helping you fulfill your needs!